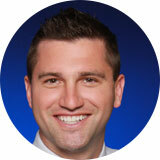 As president of Accord Mortgage, Greg has over 15 years of experience in the real estate industry. Starting with Wells Fargo several years prior to the housing bubble, Greg has seen the market from a unique vantage point. Starting an independent mortgage brokerage was always something Greg saw in his future and through the development of Accord Mortgage; Greg has been able to save thousands of people a substantial amount of money by creating wholesale relationships with a variety of lenders. Greg and his beautiful wife Megan, a speech pathologist are proud parents to two incredible kids. Greg and Megan are happy to call Jefferson City, Missouri, their home. 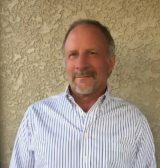 .As our Senior Loan Officer, Mark works diligently to find each one of his customers with the best interest rates and the lowest closing costs as possible. Mark provides a personalized service, to each one of his customers, to make sure the mortgage loan process is smooth and efficient. Mark has taken on the role as a loan officer in order to extend Accord Mortgage beyond Jefferson City. Mark and his lovely wife, Cheryl, reside in Kansas City, Missouri where they are grandparents to four amazing grandkids. A native of Columbia, Missouri, Cori Busby has an entrepreneurial energy that is exceptionally compatible with that of the mortgage industry. An entrepreneur herself, Cori established her own home organization business, staffing company, and most recently, a cold-pressed juice shop. Starting in the mortgage industry in 2016, Cori envisioned Accord Mortgage as a perfect fit for her given the level of self-motivation that is required of a loan officer. Every day Cori brings enthusiasm and organization to help make the home-buying process as seamless as possible for everyone involved. Cori and her husband Steve have made Jefferson City their home. As our Senior Loan Processor, Andrea has over 10 years of experience in the real estate industry. She plays a pivotal role at Accord Mortgage, communicating to all the various parties involved in each separate loan transaction. Organization is Andrea’s forte. While juggling several loans at a time, Andrea provides consistent updates to our team and makes sure that each of our team members stay up to date with their tasks. Andrea is a proud wife and mother to three children, two of which are competitive baseball and softball players. She spends many weekends at the ball fields, and while their third child is still young, she hopes he continues in the other’s footsteps pursuing baseball. As our Assistant Loan Processor for over three years, Molly knows every step in the home buying process by heart. Previously working for a title company, Molly has an array of knowledge from disclosure documents to homeowner’s insurance and everything in between. Molly utilizes her knowledge every day to help make each step in the process as smooth as possible for each customer that comes through our door. Molly and her husband Dave reside in Jefferson City, Missouri, with their wild-spirited, fun-loving son, William.